У статті розглянуто сутність, основні складові економічної безпеки держави та її найважливіші структурні елементи. Висвітлено роль інституціонального інвестиційного середовища в межах здійснення економічної взаємодії між суб’єктами процесів інвестування. Зазначені ключові проблеми інституціонального інвестиційного середовища, яке тісно пов’язане із становленням економічної безпеки. Виявлено негативний вплив на інвестиційне інституціональне середовище за рахунок високого рівня адміністративних бар’єрів та у яких випадках вони себе проявляють. Розглянуті шляхи вдосконалення механізмів захисту прав власності. Наведено негативні наслідки наявності адміністративних бар’єрів для інвесторів та запропоновано комплекс заходів, санкціоновані державою, щодо їх усунення. Зазначено низку умов, щодо активізації участі держави в інвестиційних процесах в Україні. Надано пропозиції щодо формування інституційного регулювання інвестиційної діяльності в аграрний сектор економіки України. Ключові слова: іноземні інвестиції; економічна безпека; національні економічні інтереси; інституційне забезпечення; державне регулювання. 4. Gryshova I. Yu.,Shestakovska T. L. The asymmetry of the resource configuration and its destructive impact on the capitalization of agribusiness / І. Ju. Gryshova, T. L. Shestakovska // The Scientific Papers of the Legislation Institute of the VerkhovnaRada of Ukraine. – 2017. – №2. – Р.128-133. 9. Стоянова-Коваль С.С., Наумов О.Б. Методологічні контури державного регулювання розвитку та безпеки соціально-економічних систем. Наукові записки ІнститутузаконодавстваВерховної Ради України. №6, 2017. С.123-129. The article considers the essence, the main components of the economic security of the state and its most important structural elements. The role of the institutional investment environment within the framework of realization of economic interaction between the subjects of investment processes is highlighted. The asymmetry of the market information of the state and how it manifests itself is considered. The key problems of the institutionally Investment environment are identified, which is closely linked with the formation of economic security. The link between investments in the agrarian sector and components of economic security of the country is determined. The negative influence on the investment institutional environment due to the high level of administrative barriers and in which cases they manifest themselves. The ways of improvement of mechanisms of protection of property rights are considered. The negative consequences of the existence of administrative barriers for investors are presented and a set of measures authorized by the state for eliminating them is proposed. There are a number of conditions regarding the activation of state participation in investment processes in Ukraine. Proposals are made on the formation of institutional regulation of Investment activities in the agricultural sector of Ukraine. The function of providing public goods, which is realized by the state, is considered, and causes differences in the government's adoption of economic decisions, investment projects in comparison with other participants in investment processes. The expediency of differentiating the interests of the state and interests of other subjects of investment processes is considered. Keywords: foreign investments; economic security; national economic interests; institutional provision; state regulation. 1. Hryshova, I. and Fedorkin D.V. (2017), “Concessional Approach to Public Administration of the Ecological Concerns of Agrarian Production”, Naukovi zapysky Instytutu zakonodavstva Verkhovnoi Rady Ukrainy, vol. (6), pp. 161-167, available at: https://instzak.com/index.php/journal/article/view/53 (Accessed 30 Sept 2018). 4. Gryshova, I. Yu. and Shestakovska, T. L. (2017), “The asymmetry of the resource configuration and its destructive impact on the capitalization of agribusiness”, The Scientific Papers of the Legislation Institute of the VerkhovnaRada of Ukraine, vol. 2, pp.128-133. 7. Kachanivs'ka, Yu. I. (2015), “Economic security of agricultural enterprises”, Ekonomichna bezpeka sil's'kohospodars'kykh pidpryiemstv, available at: http://www2.lvduvs.edu.ua/documents_pdf/visnyky/nvse/01_2015/15kyuibsp.pdf (Accessed 30 Sept 2018). 8. Markevych, K. L. (2014), “Positioning of direct foreign investments in the system of economic security of Ukraine”, Mizhnarodna ekonomika ta menedzhment: Zovnishnia torhivlia: ekonomika, finansy, pravo, vol. 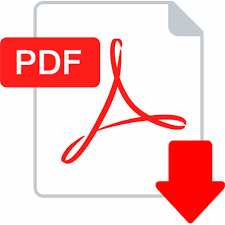 3 (74) , pp.91-104, available at: http://zt.knteu.kiev.ua/files/2014/3(74)/uazt_2014_3_11.pdf (Accessed 30 Sept 2018). 9. Stoianova-Koval', S.S. and Naumov, O.B. (2017), “Methodological outlines of state regulation of development and safety of social and economic systems”, Naukovi zapysky InstytutuzakonodavstvaVerkhovnoi Rady Ukrainy, vol. 6, pp.123-129. 10. Shaul's'ka, H.M. (2018), “Modern Western management models”, Naukovi zapysky InstytutuzakonodavstvaVerkhovnoi Rady Ukrainy, vol. (3), pp 111-117, available at: https://instzak.com/index.php/journal/article/view/1598 (Accessed 30 Sept 2018).